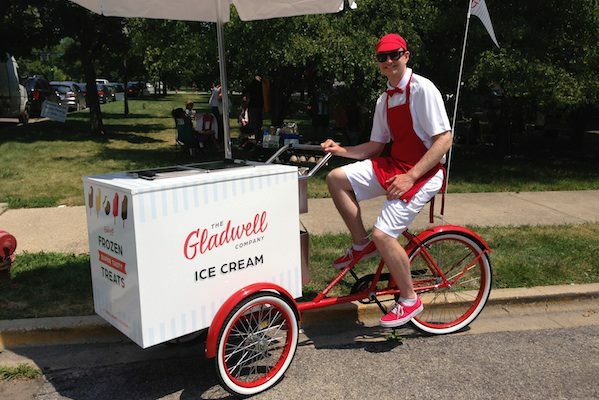 We started manufacturing the classic Worksman Front Load Ice Cream Tricycles more than 75 years ago when the Good Humor Company was first established and looking for methods to get their products out to the neighborhoods they wanted to serve. Since then, these classic vehicles have become a part of American culture. Remember the jing-a-ling of the ice cream bells as the local "ice cream man' rode through your neighborhood? Well chances are, he was riding a made in New York City Worksman Tricycle. 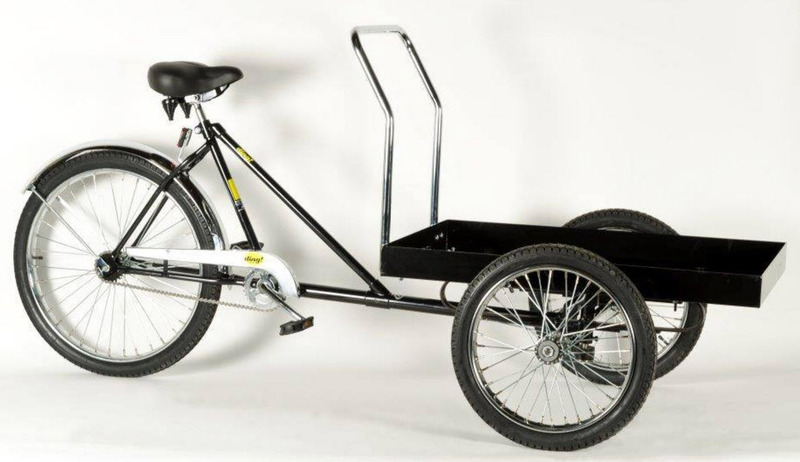 These cycles are super durable and naturally require no fuel, emit no fumes and are fun to ride. The front cabinet on the model V-ICT is an insulated stainless steel box measuring 36x23x28" on the outside, thickly insulated with a snap shut air-tight 10x10" door. A dry ice shelf is located inside the cabinet for convenient loading of dry ice. A handy exterior compartment is standard for storing napkins or other items. Using dry ice, these vehicles are ideal for vending pre-packaged novelty ice cream. All Dry Ice models come with a drain for easy interior cleaning. Today, Worksman Ice Cream Tricycles are in use in the USA, Canada, Australia, Europe, Asia and Africa. 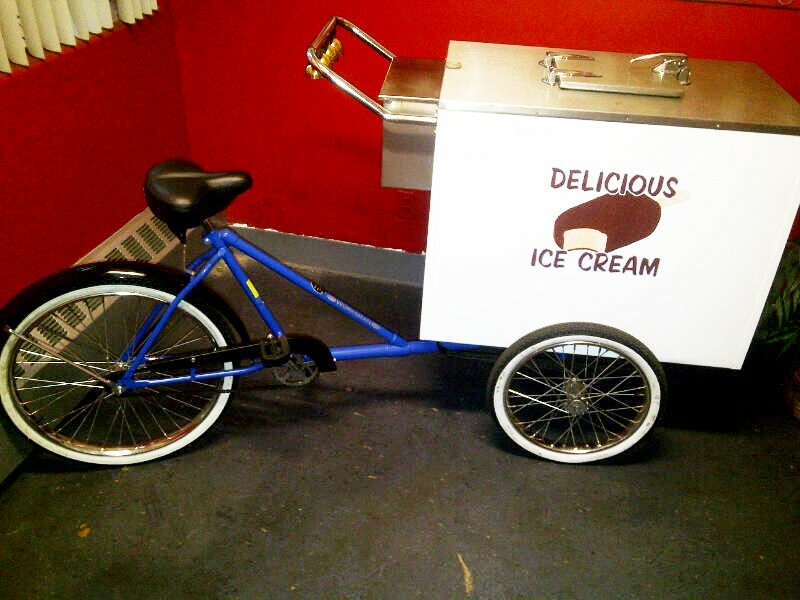 Whether you are seeking a single ice cream trike to start a small business or require a fleet to expand your business, call us at 800-BUY-CART (outside the USA Call 718 322 2003) so we can assist you in planning your purchase. Freight is additional. Note- The V-ICT shown is equipped with optional welded mag wheels.